Whether you’re considering treatment for yourself or someone else, knowing more about the entire process can help you be more confident in your decision to choose Invisalign and enjoy a better smile every day. Schedule your initial consultation. During the consultation, you and your doctor will discuss your case in detail to determine if you’re a good candidate for Invisalign. Invisalign now addresses many cases, from simple to more complex. 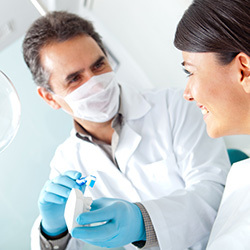 Your doctor will determine if Invisalign is right for you. This will also be your opportunity to ask any questions about Invisalign, costs, dental/orthodontic insurance, or any other concerns. Call us to schedule your first consultation: (215) 261-7003. Your doctor will take x-rays, pictures and impressions of your teeth, which Invisalign will use to create a digital 3-D image of them. 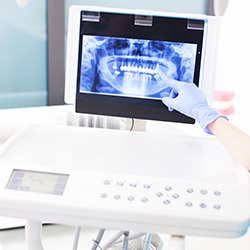 From these images your doctor will map out a precise treatment plan, including the exact movements of your teeth, and tell you the approximate length of treatment. 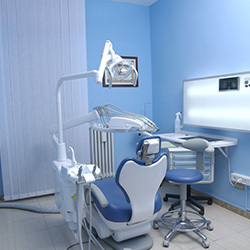 While every case is unique to each patient, treatment typically takes approximately a year for adults. Approximately every two weeks, you will begin wearing a new set of aligners, advancing you to the next stage of your treatment. To monitor your progress, you will also have occasional check-ups with your doctor, usually only every six weeks or so. For best results and a timely outcome, you should wear your aligners for 20 to 22 hours per day, throughout your entire treatment. At every stage, you will be able to see how much closer you are to having the smile that reflects the real you. Reveal Your New Smile & Keep It Looking Great – Congratulations! This is the time when you celebrate. You have reached the end of treatment and you will be smiling more than ever. Once your treatment is complete, protect the beautiful new smile you have invested in. Ask your doctor if you will need retainers to keep your teeth in their new position. Vivera® retainers are custom made using the same state-of-the-art technology as Invisalign. Vivera retainers lock in your beautiful smile. Call us today at (215) 261-7003 to schedule your first consultation and talk to our specialists.